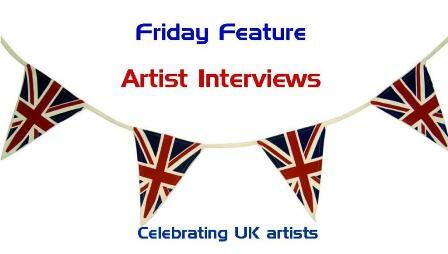 Welcome to the first of 12 weekly interviews celebrating the talents of British artists in the field of scrapbooking, photography, mixed-media, art journaling, feltmaking and quilting. Some names you may know and some may not be so familiar but they are all hugely talented. 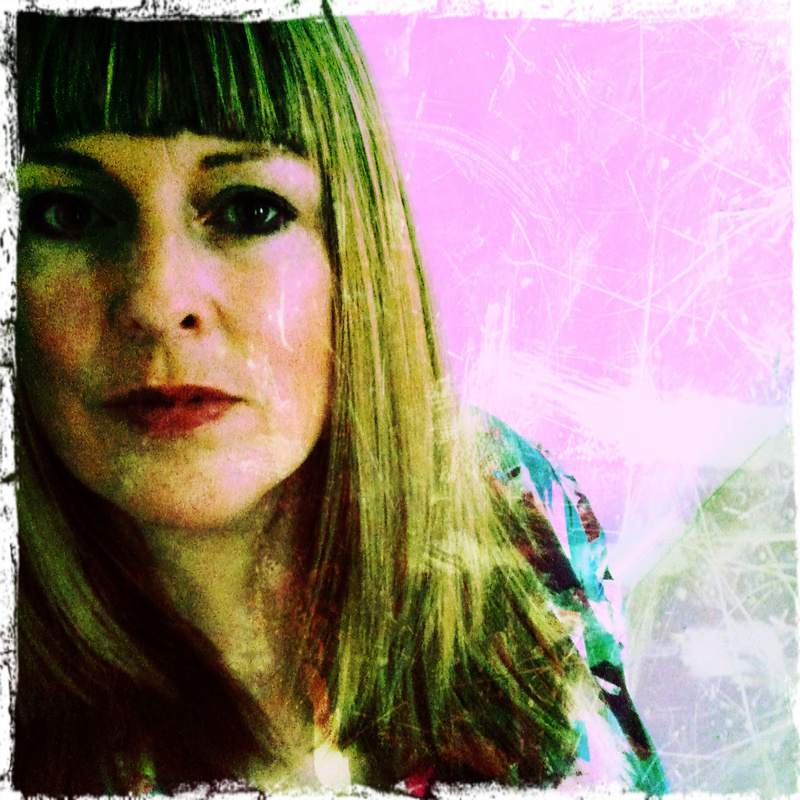 Our first interview is with Rachelle Panagarry. I've been making art for as long as I can remember...I'd sit doodling in my bedroom for many a happy hour when I was a young girl. I'm not sure that I have a first memory of anything in particular that I made, but I do know that I LOVED to make and draw, in fact I just loved to create. Through school I was always artistic, and went on to study print, paint, textiles and fashion design and life-drawing (figure drawing) amongst many other genres. Later, after raising a family I went on to study BA Hon Printmaking QTS. I am influenced by pretty much anything and everything around me! It’s quite difficult to say one or two things as my list could go on forever. Even as a teenager I collected images and scraps from magazines (especially i-D magazine and Vogue) and proudly display them on the wall of my bedroom floor to ceiling. I have always had an interest in Fashion and Textiles, and love the work of Vivienne Westwood and Kaffe Fassett. Right now, I’m really inspired by the Harajuku Girls in Japan and all things Japanese pop culture. I have always had a very ‘eclectic’ taste in the things that inspire me but I think this adds to my designs and I think this shows in my artwork. If I was to answer the question ‘why?’ I’d probably say that everything that I love has one thing in common – colour! I’m drawn to it like a magpie to shiny things. I love to work with mixed media. I think it’s the fact that I can use ANYTHING and EVERYTHING in any one piece without constraints that appeals to me, I have always been a rebellious soul! I love the mix and match aspect of it, and also that some of the results may be accidental depending on how the medium works on the surface that you are working with. I have recently started working with textiles again ( I studied fashion ,textiles and print at college), I got a sewing machine for Christmas so that I can start adding freehand sewing to my art. I think it’s probably from being at Primary School. I can remember making a Norman Castle out of lollipop sticks with soldiers made from plasticine. I used to love playing with plasticine, that is until the colours got mixed up and everything became green! Now that you have got me thinking, I think the art lessons are the only ones that I remember from Primary School! I don’t think that it did, or at least not for a huge part of it, not until now. I was lucky that I went to art college and on to study a degree in Fashion. But during this degree, I had my son and left the course to stay at home and look after him. This is when I put all things creative on the backburner that lasted for the next ten years. It wasn’t until I decided to go into teaching and retake a degree that I got back into making art. I studied Printmaking and this gave me a chance to revisit my old LOVE of art. I’d almost forgotten how good it felt to create. It was then that I decided that I would always continue to make art. In my teaching job, I was in charge of art and design within the school, staff training and running workshops but the draw of art was becoming stronger. I was longing to make art for me and not just teach others how to do it. I joined the local Art Society and surrounded myself in a new group of wonderfully talented people. This again spurred me on to further my dream of making art my career. More recently, through illness, I have been granted the time to myself to make art and it has been wonderful. I feel as though I have found myself again. This is who I am (and always was). I’m still teaching, but now I’m making art everyday too, and one day soon that’s all I’ll be doing. This is a tricky one to answer, I know colour and pattern are big influences with me, but my drawing style has been with me as long as I can remember. The big eyed girls that I make may seem new, but I recently found one of my school books from when I was 13, and in the back I had drawn the same girls! I think practise is the key to keep things flowing and just keep on trying new things. I don’t really have an activity, but I put on music and maybe flick through magazines for inspiration. I still like to read i-D magazine and Elle Decoration and Vogue, they all have great pictures. I might flick through a few old journals or just rummage through my art supplies and see what triggers an idea. BRAVE – because I’m not afraid of a blank page or to try something new. COLOURFUL – I LOVE colour and use it as much as possible. FUN – I don’t take it too seriously, I like to have fun making my art and hope that it shows. MINE – It’s me on a canvas. If you were able to ask Rachelle anything what would you ask? Please add your question to the comments below. See you next Friday for an interview with Julie Kirk. A great interview, and a new artist for me to discover, and one whose work I love! Thanks Bernice, and thanks Rachelle. I think the question I'd ask is How do you get the balance between family life, creating because you create and creating for business? I don't actually think I DO balance it very well, sometimes work takes over, or family does or other times it's my art. It's something I write about alot on my blog! This is great! I like to read about established artists and how they started! So nice to read about Rachelle, she is such a great artist and I think she is creating day and night.. Love her girls. well done Bernice and Rachelle, very interesting. Keep up the excellent work.